Inspired by the labyrinths painted on the sidewalk outside her studio in lower Manhattan, Joanna Arettam decided to make a book of art and meditation using the colors of the chakras and the drawing power of mandalas as her guiding lights. She contacted hundreds of artists to choose the images for this book. They are presented here--five for each of the seven chakras--beginning with the Red Root Chakra. Red is for Instinct. It flows into orange, for Passion, yellow for Self-Esteem, green for Compassion (at the Heart Chakra), blue for Expression, violet for Wisdom, and purple for Spirituality. Arettam's lucid text introduces readers to mandalas and their power, to chakras, and to the transformative power of art. Seven brief chapters in all, with meditations for each chakra center. 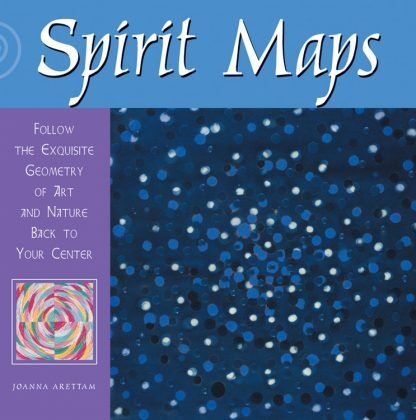 Spirit Maps is a perfect gift for any time, any season, any reason.